True, Eddard wasn’t a drinking man, but maybe if he’d taken a couple of swigs, he would have lasted longer than a season. Your geek’s not a Stark person? 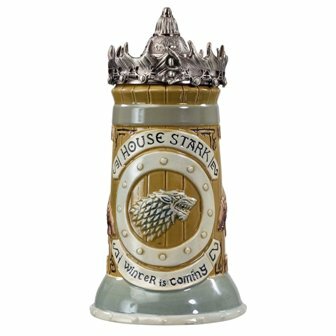 There’re also steins for the Lanisters, Targaryens, and Baratheons. 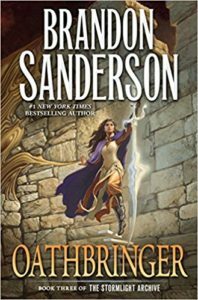 There was a lot of hype around the release of the third instalment of Brandon Sanderson’s third book of the Stormlight Archives, Oathbringer. And geeks were not disappointed. Brandon expands his Cosmere with the world of Roshar, a place that is devastated by category 5 hurricanes every two weeks. 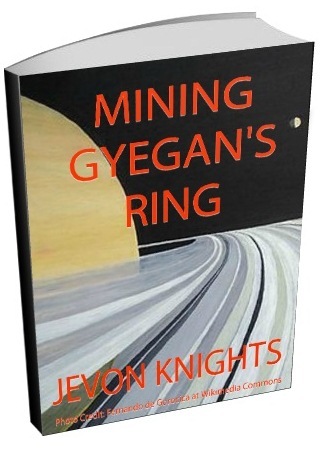 These “highstorms” have shaped the ecology and civilization, and this story of war and mystical shardblades and their near invincible warriors will keep fantasy fans hooked well into the planned tenth instalment. What’s that you say? Your geek’s never read any of the Stormlight Archives? Get them started with book 1 The Way of Kings and book 2 Words of Radiance. I know. The iPhone X is considered the best overall phone with its great OS and expansive selection of applications. 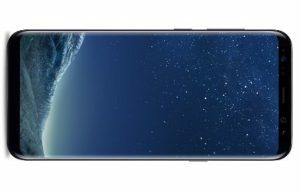 So why am I recommending the Samsung Galaxy S8? It’s this geek’s personal opinion that the Android OS makes for a better phone because it’s so much more usable. You don’t need iTunes to do anything, and you get more applications for free (though there’re not as flexible). But if you geek’s an Apple fan, then go ahead and get the iPhone X. Find these phones a little pricey? 2017 was an awesome year for games. The first quarter alone had enough to keep me occupied all year round. And my favourite was PS4’s Horizon Zero Dawn. 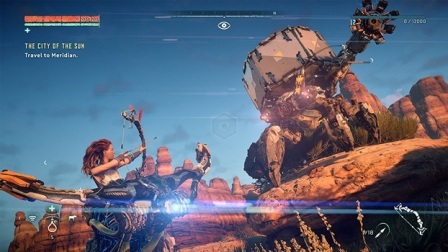 This post-apocalyptic world set thousands of years in the future where mankind lives in tribes hiding from primal machines will keep your geek up all night, dodging and sliding and shooting, all while trying to figure out what really happened in the past. Now this game was released pretty early in the year, so if they’ve already played it then don’t worry. Other great options include Wolfenstein II: the New Colossus, Dishonored 2, Resident Evil 7, Nier Automata, Nioh, Assassin’s Creed Origins, and Hellblade Sauna’s Sacrifice. And if your geek actually has a Nintendo Switch for some reason then that’s a no-brainer: Zelda Breath of the Wild, or Super Mario Odyssey. I’m willing to bet your geek grew up in the prime of Super Nintendo. 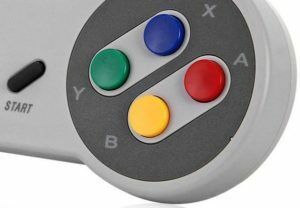 This year saw a lot of excitement over retro games with the release of the Super Nintendo Classic Edition, a console that followed up on last year’s Nintendo Classic Edition. 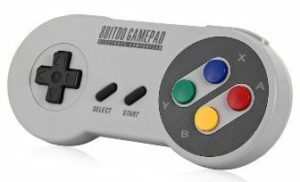 It’s near impossible to get the consoles at the original retail price, so why not just buy your geek a wireless gamepad, download a couple of roms (legally, of course) and let them enjoy Super Mario World all over again. And because it’s styled around the Super Nintendo control, they can also play Nintendo games, arguably the better selection (and my personal favourite). Note that this uses Bluetooth, so if your PC doesn’t support it, either get a Bluetooth adapter, or buy the wired version.